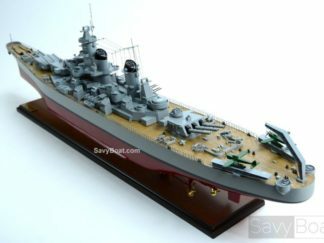 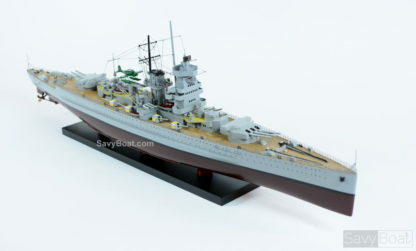 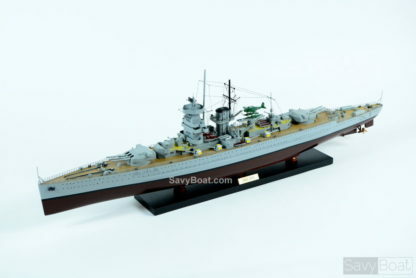 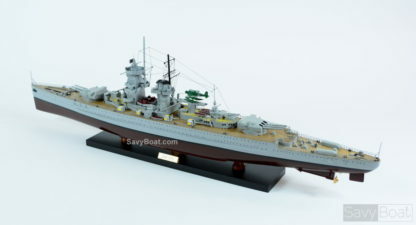 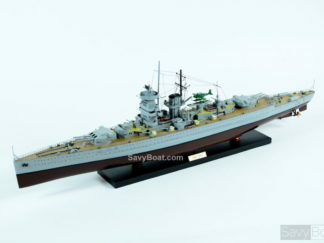 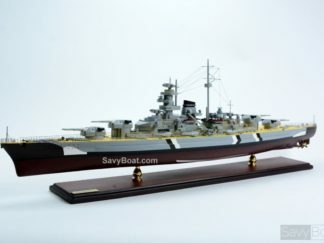 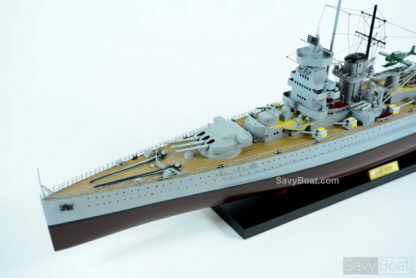 Admiral Graf Spee was a Deutschland-class heavy cruiser (originally termed Panzerschiff or armoured ship, sometimes referred to as “pocket battleship”) which served with the Kriegsmarine of Nazi Germany during World War II. 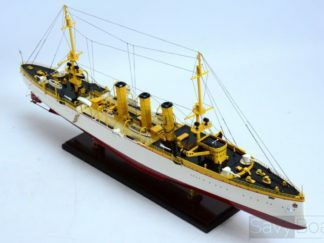 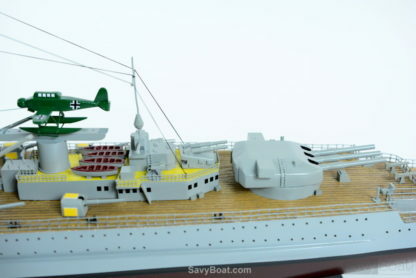 The vessel was named after Admiral Maximilian von Spee, commander of the East Asia Squadron that fought the battles of Coronel and Falkland Islands in World War I. 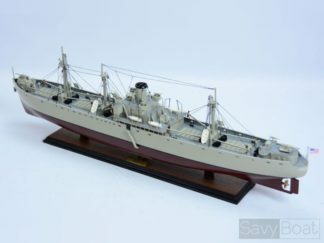 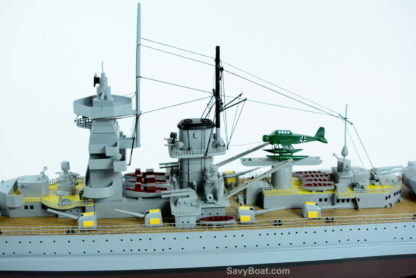 She was laid down at the Reichsmarinewerft shipyard in Wilhelmshaven in October 1932 and completed by January 1936. 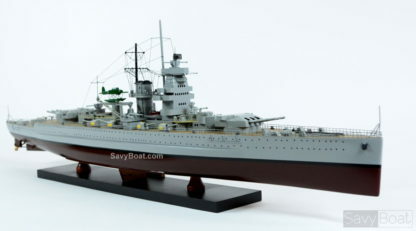 The ship was nominally under the 10,000 long tons (10,000 t) limitation on warship size imposed by the Treaty of Versailles, though with a full load displacement of 16,020 long tons (16,280 t), she significantly exceeded it. 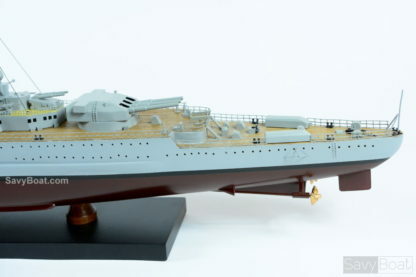 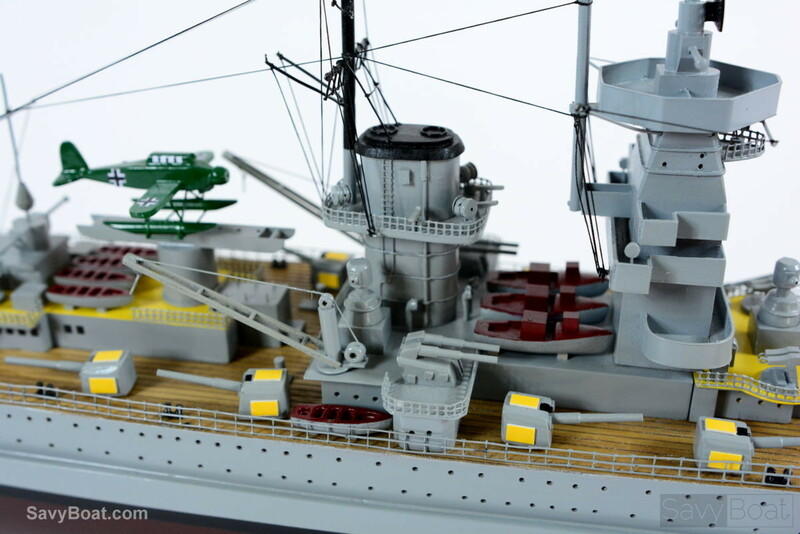 Armed with six 28 cm (11 in) guns in two triple gun turrets, Admiral Graf Spee and her sisters were designed to outgun any cruiser fast enough to catch them. 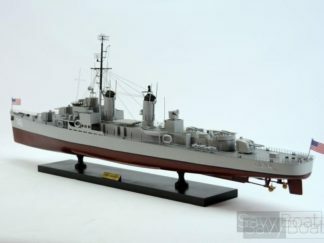 Their top speed of 28 kn (52 km/h; 32 mph) left only a handful of ships in the Anglo-French navies able to catch them and powerful enough to sink them.